Could this be the announcement of a Pokemon game for Switch? Nintendo will be streaming anew Nintendo Direct tomorrow morning at 10 AM ET, and it will be focused on Pokemon. The stream is planned to last eight minutes, Nintendo says. 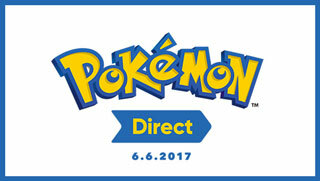 Since this is the first Pokemon-themed Direct since February of last year, when Nintendo announced the 20th anniversary celebration events. As you can imagine, speculation is running rampant about what might be announced. Chief among the rumors is a Pokemon title for the Nintendo Switch. This first hit the news last November, when a rumor went around that the game would be called Pokemon Stars. That rumor gained more weight in March, when Game Freak posted job listings looking for developers to work on a "globally popular RPG." Obviously, there's no way to know what Nintendo might have in store for us tomorrow, but it will certainly be of interest to any Pokemon fan. It's also worth noting that the official Pokemon site says that it will have "coverage of the news after the Pokemon Direct concludes." You can watch the stream on Nintendo's website, YouTube channel, and Twitch channel. I'm not really expecting much but my ideal announcement would be whatever game they make to be available on both Switch and 3DD. I wonder what type of game it will be for the Switch (if not now, one that might come in the future). Something along the lines of the main series (red, gold, ruby etc)? or maybe something like the GameCube Gale of Darkness game? I hope it will be adventure and not some minigame or fighting game. But I'd like them to do something a bit different.